Rice Bran Oil is a very mild oil that packs a big punch. It is rich in Vitamins A, B, E and fatty acids. It penetrates quickly into the dermal layers improving elasticity, boosting skin's own regeneration process and renewing the surface texture of skin. Rice Bran Oil is non comedogenic and helps protect from sun damage, wind, cold, and environmental toxins. 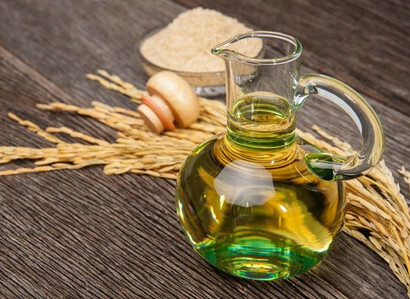 Rice Bran Oil is also rich in squalane, which is about 12% of human sebum. Sebum is our skin's natural moisturizer, lubricant, and first line defense against infection. Mature skin's problems with dryness benefit from squalane. Rosehip Oil comes from seeds of a specific variety of rose grown predominately in Chili. It contains Vitamins E, C, D, and a form of Vitamin A: beta-carotene. It is rich in several essential fatty acids which are readily absorbed through the skin and involved in cellular membrane & tissue regeneration. 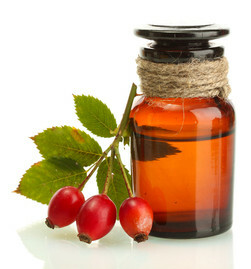 Rosehip Oil is a great humectant, and has uses for stretch marks, age spots, hyperpigmentation, burns & scars. It has been proven to help with dandruff and other scalp problems. 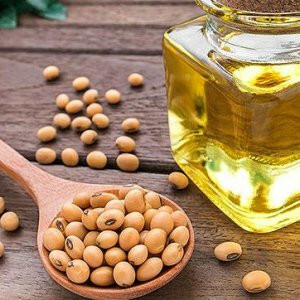 Soybean oil is excellent protection from UV rays and treating damage caused by sunburn. It has strong anti-oxidant properties and is rich in Vitamin E & K as well as B Vitamins. It is effective against skin lines and aids elasticity, dryness and peeling. 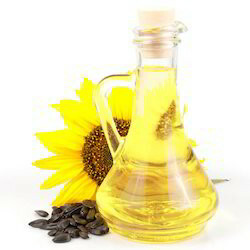 Benefits of Sunflower Oil: Sunflower oil is a natural and healthy way of maintaining great skin, thanks to its calming and emollient properties. Being rich in nutrients and antioxidants, it is widely used for medicinal and cosmetic purposes and is found to be effective against acne, eczema, inflammation, general redness and irritation of the skin. Sunflower oil is extremely high in Vitamin E. Vitamin E is essential for preventiFng damage to skin cells by ultraviolet light or UVA from the sun. Vitamin E improves the appearance and health of your skin by preventing scarring and smoothing of existing wrinkles. Sunflower oil is also rich in vitamins A, C and D and healthy carotenoids and waxes which form a protective barrier on the skin. It gets absorbed into the skin easily, without clogging or blocking the pores. Tamanu Oil is purported to be one of the most effective agents in promoting new tissue formation, accelerating wound healing and healthy skin. 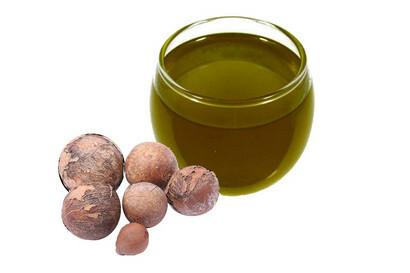 It is an oil that is anti-oxidant, antimicrobial, antifungal, and anti-inflammatory. This is only news to the Western world however, as in the early 1900s Tamanu was widely known and used in French hospitals to heal burn and amputation wounds, and it was in use pre-1900s in the South Pacific region. Tamanu contains three of the lipid building blocks for healthy tissue: neutral lipids, glycolipids, and phospholipids.